this is how the pioneer SPH DA120 looks like when fitted with the right colour surround, which is easy to get. Does the Dynavin have things like Apple Carplay, Android Auto etc because if you are doing this, you want to be getting those sort of things without a doubt. For me, the Dynavin looks a bit old fashioned now, is it due an update? Surely the best bet is the latest model from pioneer with the right surround? The SPH DA120 is at least 2 years old now, probably more, and you should be getting DAB radio. Though saying that, depends where you live. I live in Hertford, so just outside London, and the wife's DAB radio in her brand new BMW clicks around and loses connection if we venture much further into the countryside, for example, when we were north or Saffron Walden the other day. Hardly in the middle of nowhere! Seems the DAB signal is still pretty rubbish in places, dread to think what it will be like in deepest Exmoor! 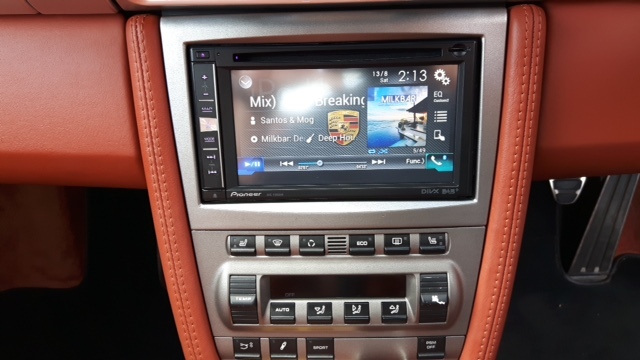 I recently bought the same unit to replace my pcm2.1 its great to see how it looks thanks for the picture. Out of interest, where did you mount the gps antenna and mic? and the ipod lead runs to the centre console under the armrest. GPS, couldn't tell you I'm afraid! When changing the pcm 2.1, the cost is for the new nav/audio plus an adapter for the fibre optics which is approx £300. The lead, if you need it, was about £250. The head unit I got was £263, fitting included. Pretty sure DA120 has been replaced now and saw the newer version with DAB and Android Auto on a different thread the other day. 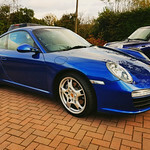 PCM2.1 will sell for between £300 and £350 on ebay without a problem, plenty of Boxster owners used to want them! Depends what head unit you get, but pretty happy with mine, but will at some point upgrade to one with android auto and DAB. have you got bose or are you sure the cables Fibre optic, if its not then you may well not need the MOST interface module . About to replace the PCM 2.1 on my 2007 Cayenne. 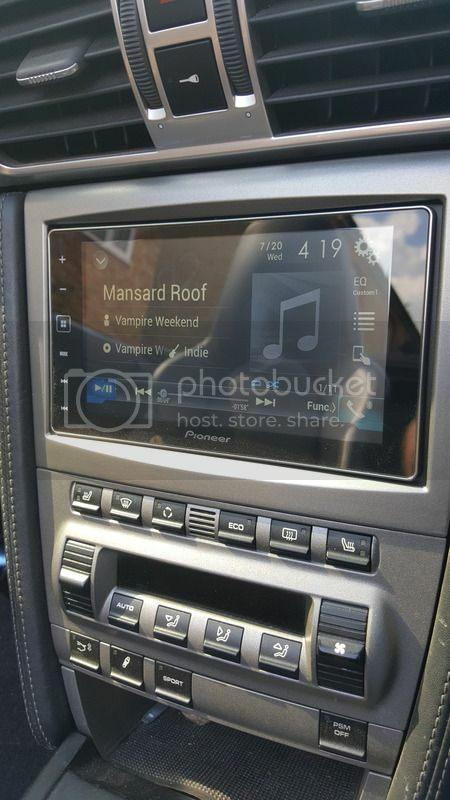 Looking at putting in a Pioneer AVH-Z9100DAB. A couple of questions if anyone has any advice. 2. Believe has the Bose optical amp so will need unit to convert signal. Any advice on best one to get?